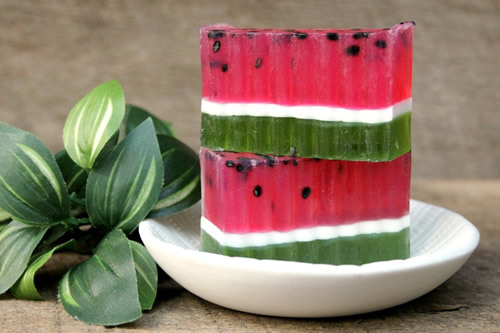 Are you looking for the most amazing DIY watermelon soap bars? 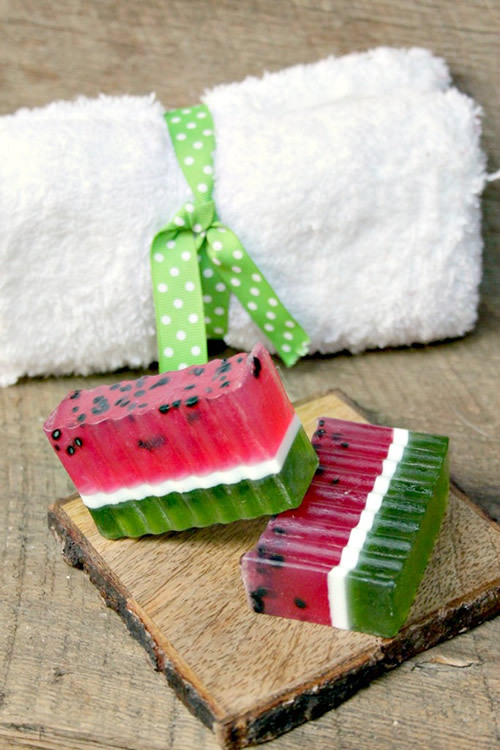 I have a super easy and simple DIY soap recipe where you can learn how to make these cute and adorable homemade watermelon soaps. 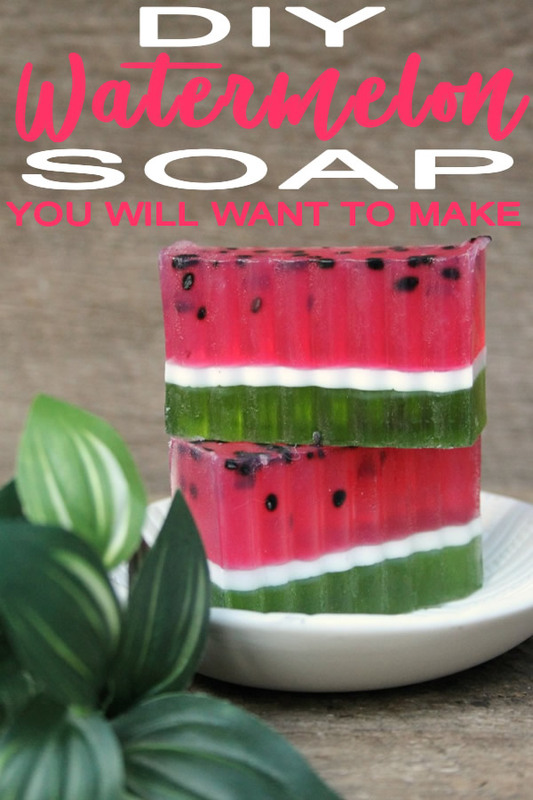 You can make these using melt and pour soaps and you will have the best watermelon scented soap. Everyone is going to love this soap from kids, tweens, teens to adults. They smell amazing and look amazing. So if you want DIY cute soap then you should check out these simple step by step instructions / tutorial. Bath time will never be the same again and washing your hands or kids hands will be a breeze with these great scented handmade soap. 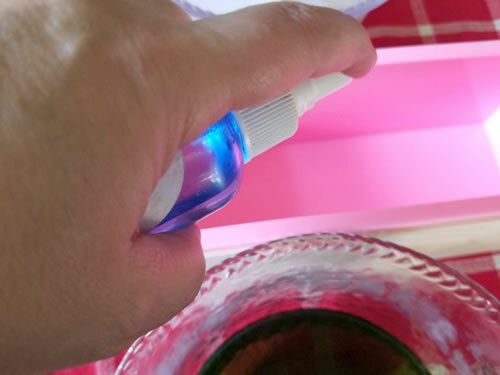 Spray soap mixture with rubbing alcohol (this will help so no bubbles form on your soap). Allow to dry and become firm for at least 15-20 minutes. 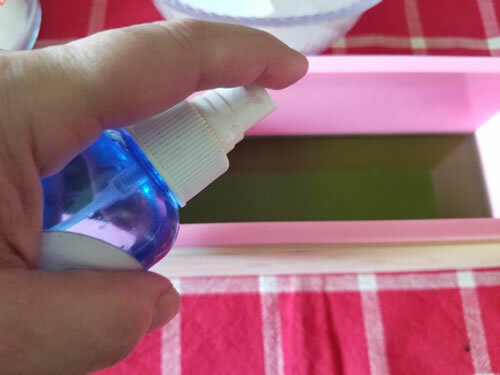 Spray the green soap layer with rubbing alcohol. This helps the layers stick together so spray enough 🙂 but don’t go overboard either. 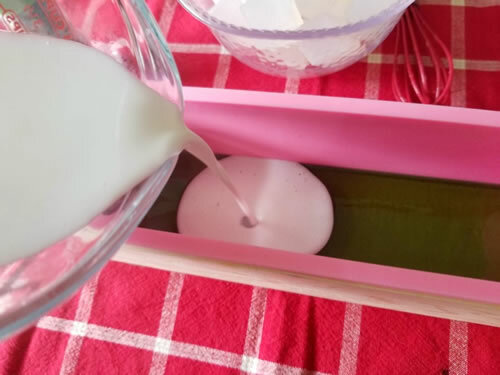 Pour the white soap on top of the green in the mold. 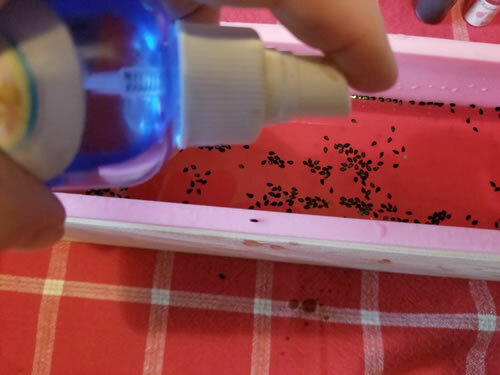 Again spray the top with rubbing alcohol to prevent bubbles. Let that layer harden. 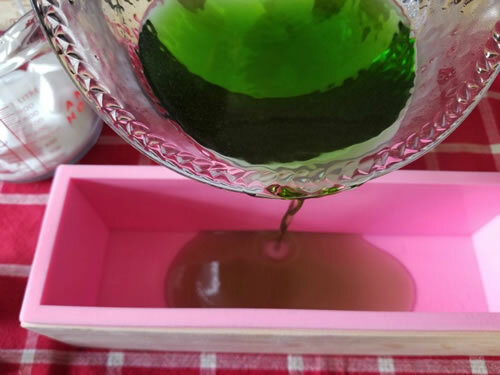 For the next layer: : place 20 cubes of the clear soap base in a microwave safe container and microwave on 20 to 30 increments until it is fully melted. 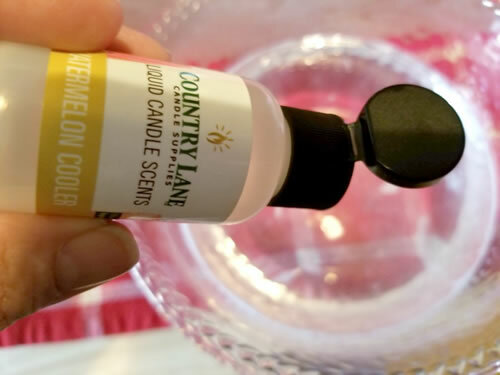 Once melted add your watermelon scent. Spray the white layer with the rubbing alcohol just like before (don’t skimp). Pour in the pink soap mixture. 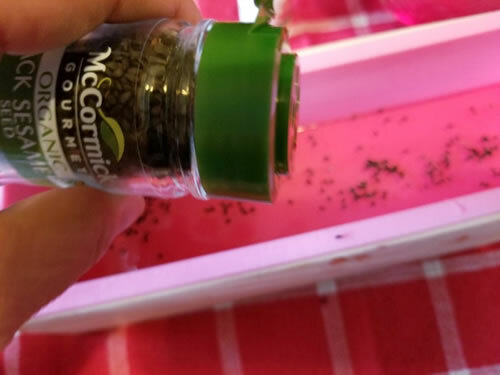 Allow to set slightly (between 3-5 minutes) before adding some black sesame seeds. Make sure to wait or the will end up at the top. 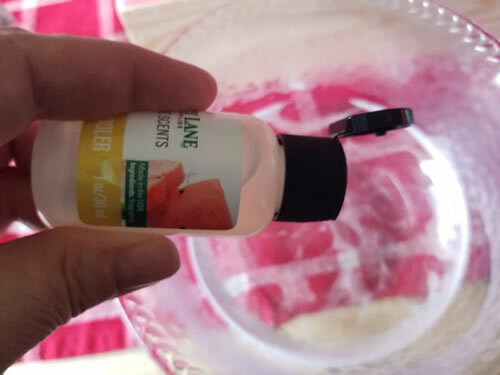 And that is all there is to this easy DIY watermelon soap! 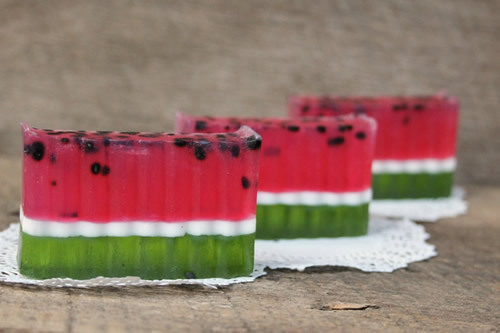 Are you ready to make this DIY watermelon soap? 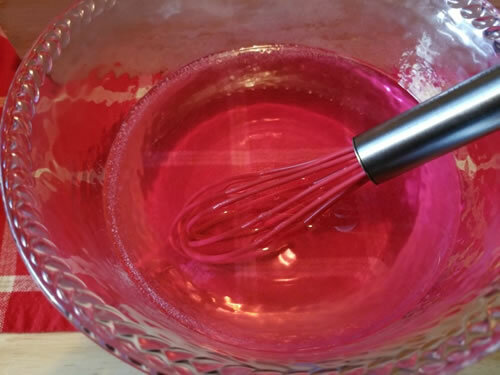 It is a great soap for beginners or if you have been making soap forever. I love that it is made without lye. 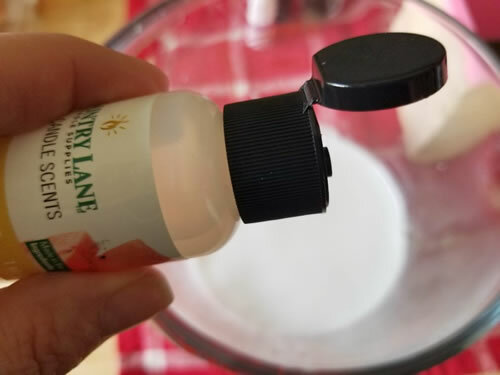 You can substitute the melt and pour soaps with organic ones or if you have sensitive skin you may be able to find some for that too. 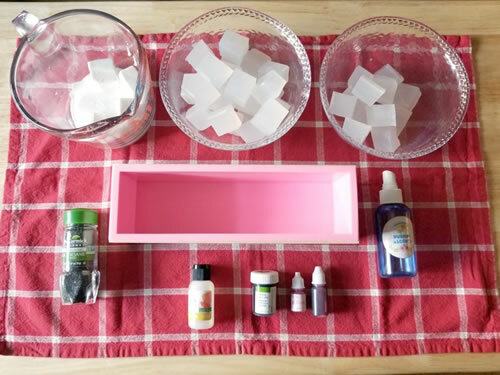 Make your own natural soap from scratch at home and feel good knowing what you are putting on your body. These would make great gifts for family, friends, co-workers or even neighbors. Great for birthdays, Christmas or just because. If you need additional DIY soap recipes and ideas you can check out Youtube for a ton of soap videos or head over to Pinterst. There you can find soap DIYs like: coffee, rose, oatmeal, honey, peppermint, lavender, for acne, exfoliating and so much more. 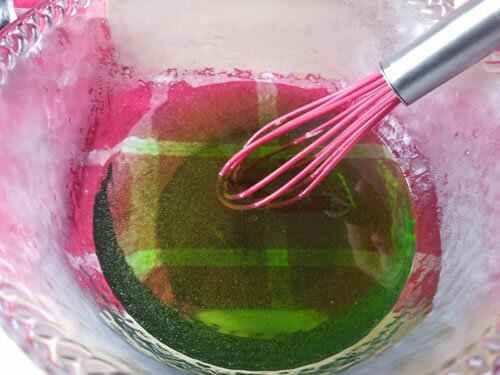 I hope you enjoyed this homemade watermelon soap recipe and idea. For more DIY craft projects you can check out some of my other posts. Unitl next time have a great day!